Leonardo Bonucci says that he scored a Derby D’Italia goal by hitting the ball as hard as he could.Juve was placed in the lead after Bonucci hit a volley past Samir Handanovic. The win was sealed by Alvaro Morata when he received a penalty he won himself after being fouled. 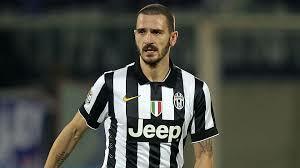 Bonucci was modest and said that his was glad that his strike was a success. “I was fortunate to keep it down and not hit Samir Handanovic. “We simply had to win, regardless of the fact we were facing Inter. He went on to say “Now we just have to keep marching forward and our heads are already on Wednesday because, despite winning the first leg 3-0, Inter will get off to a strong start. “We, however, will start even stronger. The team’s previous game was a draw against Bologna. But they fought back from 2-0 against Bayern. Bonucci signed on with Juventus in 2010 on a four year contract of 15.5 million euros. The player was placed in the starting lineup for the first matches of the season. The player has been successful with the team and has made many appearances.